A new generation of Christians are foregoing traditional church edifices and modern worship spaces are springing up around the country in very non-trditional spaces. 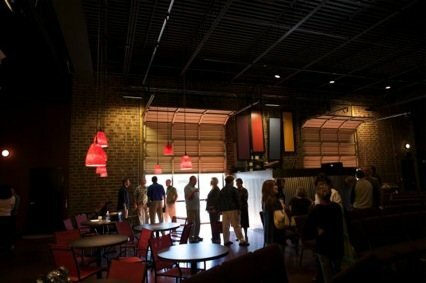 Large institutional church congregations are giving root, and in many instances giving way, to small grassroots collectives of worshipers who, instead of acquiring real-estate and its associated debt, have created homes by leasing “flex spaces”, once the exclusive domain of small business entrepreneurs. 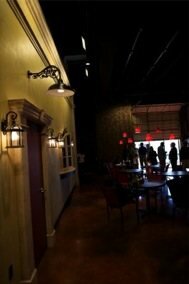 Joining this growing movement is Gate City Vineyard in Greensboro, NC. They, among many others, are helping to define a new contemporary Christians worship experience. Modern keyboard synthesizers, electric guitars and large drum kits supplant traditional church organs as praise teams replace choirs. Tightly interwined in a new partnership with contemporary worship is the very latest in communication systems integration technology playing a pivotal role in this new multi-media experience. CareySound assisted Gate City Vineyard elders in transforming their new space at 204 South Westgate Drive, which is just a few blocks away from CareySound in the Pomona Business Park, into a worship space supplying the design and installation expertise necessary for the job..liquet. The RSS V-System by Roland takes center stage in cutting edge audio system. 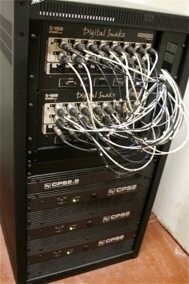 Utilizing the Roland REAC digital network backbone running on inexpensive and flexible twisted-pair Cat 5e cabling, the V-Mix System takes a complete digital end-to-end system approach to audio distribution and control. It solves many of the problems that plague other digital audio solutions and analogue audio installations and allows for an easily expandable system. It’s not simply a digital replacement of a mixing console, but an entire digital audio system that only needs the addition of microphones and ‘front of house’ stacks & racks to complete the picture. It includes; 48 mix channels, 16 aux/monitor busses, 24 channels of insertable comps, 24 channels of insertable gates, four stereo digital effects processors, 12 system graphic eq’s, a digital two track recorder/player, stage drop boxes AND with the addition of a small laptop computer run wirelessly over Wi-Fi, a complete monitor mix system. 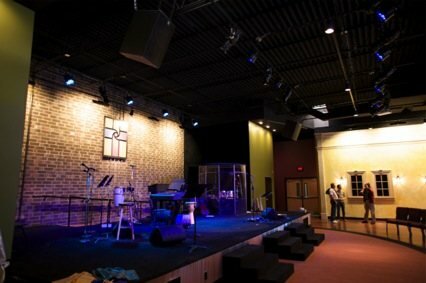 Building the new audio system around the Roland RSS, systems integrator CareySound was able to contain costs and create an easy to use experience for the church that is high in features and low in maintenance. Cutting edge technology is also integrated into the stage lighting system. High output color washes are provided by the new OPTI RGB lighting fixtures from Elation. Each fixtures is lamped with 24 high power 1 watt LEDS and feature full red-green-blue (RGB) color mixing with built in dimming, full remote control over 7 DMX channels, 25° beam angle and 50,000 hour lamp life. It provides exponentially more hours of lamp life than traditional incandescent bulbs which not only save money through electricity charges, elimination of expensive high current dimming circuits, elimination of color gel costs and bulb maintenance, but is also an environmentally "GREEN" product. Two large projection screens with modern high lumen video projectors complete the multimedia installation.